We’ve been visiting Stresa on Lake Maggiore each year for the past five years; to me it’s a real paradise on earth. 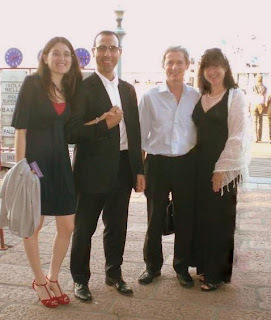 After reading Dana’s inspiring post last August, we timed this year’s summer holiday to coincide with the Bach recital at Santa Caterina on July 31st. Two of our friends who live just outside of Milan joined us. 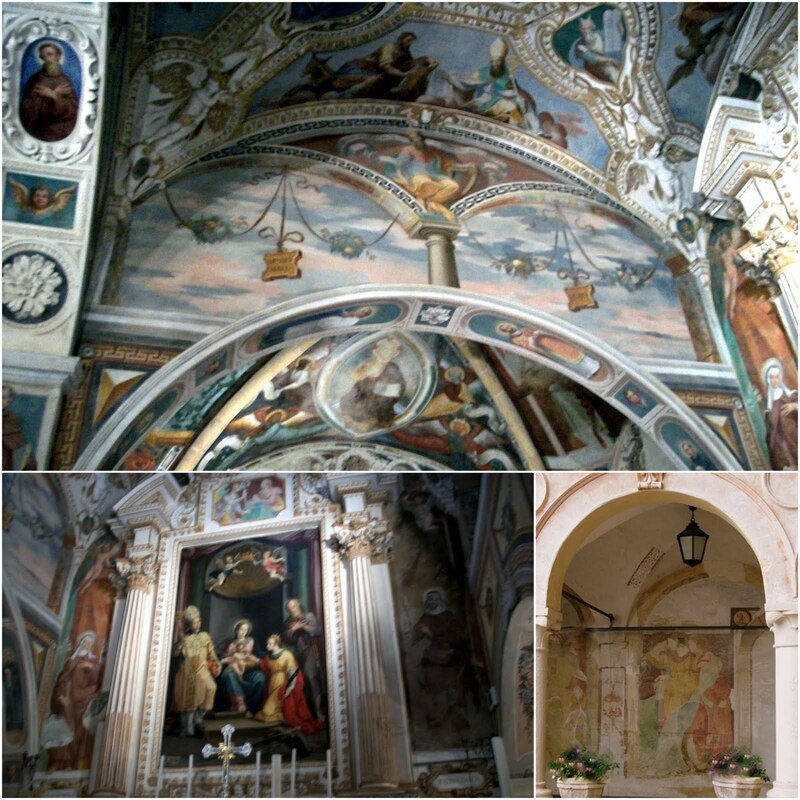 It was their first visit to the heavenly setting of Santa Caterina and they were equally fascinated by it. It is the perfect location for this musical evening - tranquil, stunning and with a deep sense of calm. Every summer (since 1999), for two nights only, the enchanting Hermitage of Santa Caterina is the venue for the Bach cello solo suites, performed by a different cellist each year. This July was the turn of Alban Gerhardt, a remarkably talented musician. It was a glorious, warm evening; the weather could not have been more perfect. The sun began to set behind the mountains as we crossed the lake. bathed in golden sunlight and set against the rock face. and inside the richly decorated monastery. Once Alban Gerhardt started to play, the magnificent music seemed to flow through him and enthralled his captivated audience. I was mesmerized watching and listening to him and can understand while they call these ‘Musical Meditations’. He played suites nos. 3, 4 and 5 on the Saturday night, although not in that order. He said that suite no. 5 was a bit solemn so he left suite no. 4 till the end because he wanted us to leave feeling uplifted. The setting was warm and intimate with rich acoustics and the music was so deeply moving and hauntingly beautiful it seemed to pour in your soul. He went on to play three encores to rapturous applause from his appreciative audience. His impressive performance was impeccable and evoked such wondrous feelings; it was a truly amazing experience. of citronella candles - so romantic. As happened last year, the night of the performance coincided with a dazzling fireworks display on nearby Lake Mergozzo. It was breathtaking to watch from the boat and contributed to the magic of the whole evening. The performance of Bach at Santa Caterina was definitely the highlight of our visit to Stresa this summer and had a profound effect on me. After the event, we were fortunate to bump into Alban Gerhardt in a small side street in Stresa. He said that he had really enjoyed performing in this uniquely special venue and hadn’t heard anything about Santa Caterina until he was approached by the Stresa Festival. The music festival season ends today, but you could start planning your special evening for next summer. All of the events are held in exquisite locations and it is truly a great experience! If you like classical music, bookmark the Stresa Festival home page for more details about the exquisite musical performances around beautiful Lake Maggiore. Congratulations with this beautiful and thoughtful post! I like very much the pictures, especially the sunset. I know you would love these musical performances Tatiana. Each year they also feature Haydn - one of your favourites. Just spent the last hour browsing your wonderful site. I must go back to Italy some day soon to experience these beautiful places you are writing about ourselves. Stresa is an ideal place to go for a fantastic family vacation. You would love it!